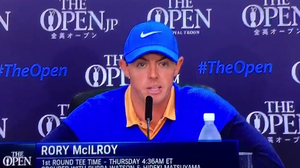 Britain’s Rory McIlroy bigged himself up before the tournament and as usual fell flat on his face. Do you actually think people will bite? Did you enjoy that Gerry? 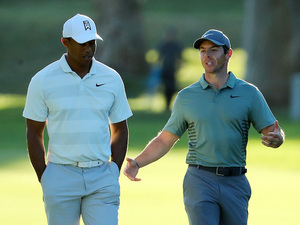 If the Tiger lad can keep Britain’s Rory McIlroy from winning then I’ll forgive the infidelities. He can shag whoever he likes once it’s consensual. Never knew golfists to be so prurient. What’s he recovering from then? He couldn’t keep him from winning The Players Championship a couple of weeks ago. Only a matter of time before Rory wins another major and to hell with the nationalists and begrudges. Rory! Rory! Rory!